TWRP is the most used recovery by the Android modders. No surprise in that! It has some best features and simple touch interface. They have an active team, adding support for many devices as possible. Rooting allows tweaking your devices as you want. It also gives you latest Android version through custom ROMs like lineage OS. But what about updating the TWRP recovery? Expect for flashing it at the time of root; we hardly update it. As updating the recovery through ADB command lines is a bit tricky process for beginners. But updating recovery is also crucial while changing Android versions. If your recovery is too old and you are flashing latest nougat ROM, there are high chances in boot looping your device. We are having a guide for you to update TWRP recovery without PC quickly. 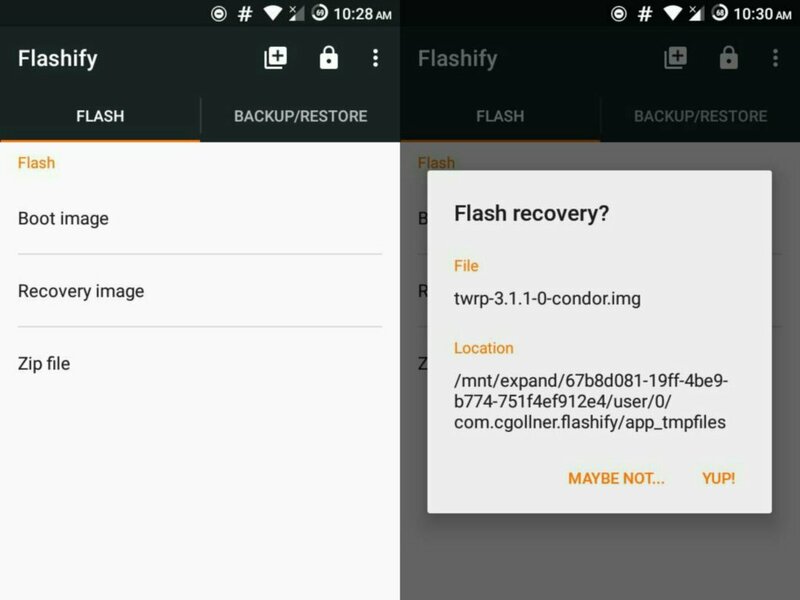 We have two apps available for that in playstore – Flashify and Official TWRP app. Follow our guide below, how to quickly update TWRP recovery without PC. Remember, your device must be rooted to follow this guide. Don’t follow this method, if you are in the process of rooting your device. You can follow this process if you have a rooted device and have a different recovery like CMW or Philz recovery. You can change that to TWRP using the below process. A Rooted device with custom recovery installed. If you are new to the word rooting, start from here. Backup all your data. Just a caution in case if something goes wrong. You can use the Flashfire app to send the backup file directly into your computer. 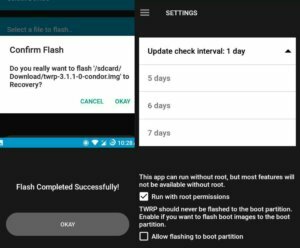 Flashify or Official TWRP app. 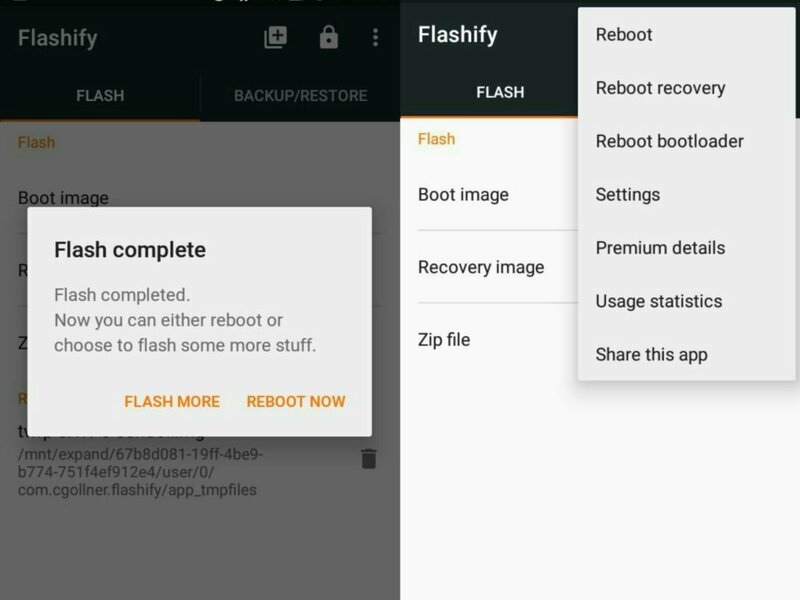 Install the Flashify from playstore and give it root access. You can also manually download the updated version from the official site. In this case, select the first option ‘choose a file’ and navigate to folder then select the downloaded ‘.img’ file. Confirm the flashing action by selecting YUP option. Pop out in the app informs Flashing Complete as shown in the images. Now you can reboot your device. Or reboot into recovery by selecting from the options at starting window. 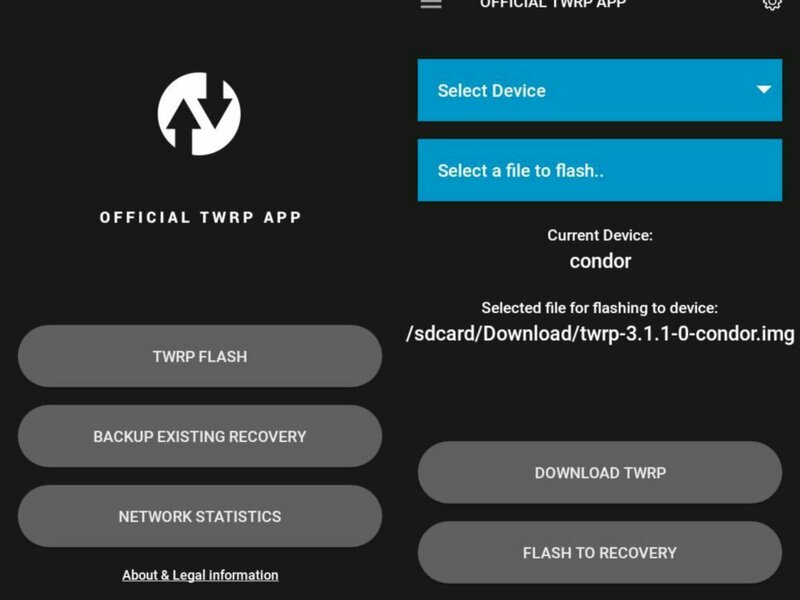 Install the Official TWRP app from playstore and give it root access. You can also manually download the updated version from the official site. In this case, choose the option ‘choose file to flash’ and navigate to downloaded folder then select the downloaded ‘.img’ file. Confirm the flashing action by selecting the OKAY option. A screen informs Flashing Complete successfully as shown in the images. Now you can reboot your device. This app also has a feature to check for updates in specified time interval up to 7 days. Follow us for more guides. Although there are more apps which can do this, these two have good ratings in the Google PlayStore. Also, from my personal experience, they are best in all terms. Comment below for any queries.